Pat Kelley threw 6.0 innings of two run baseball Sunday afternoon and notched his second win of the season. 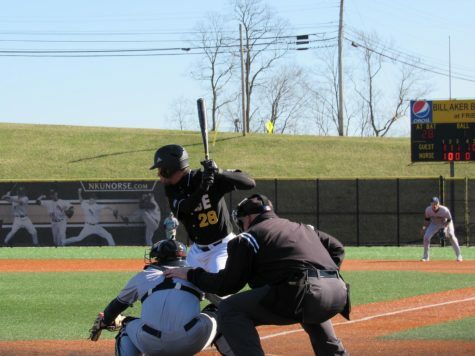 The NKU baseball team secured the series win against Youngstown State on Sunday afternoon with a 6-3 victory. The Norse are now 5-1 in the Horizon League with a 10-16 overall record while the Penguins fall to 6-18 and 3-6 in league play. First baseman Trey Ganns went 2-3 with a run scored while centerfielder Mike Moffatt went 2-3 with two runs scored and an RBI. Even though he didn’t record a hit, catcher Zach Heming recorded two RBI on two safety squeeze bunts. 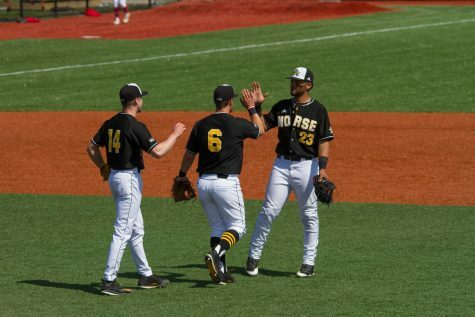 Unlike the first two games of the season, the Norse benefited from playing small ball in this game. 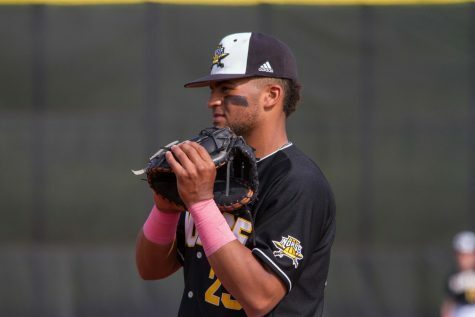 Bohlen reached on a bunt single early in the ninth inning and reached on a sacrifice bunt in the sixth inning that pitcher Joe King couldn’t get an out on. 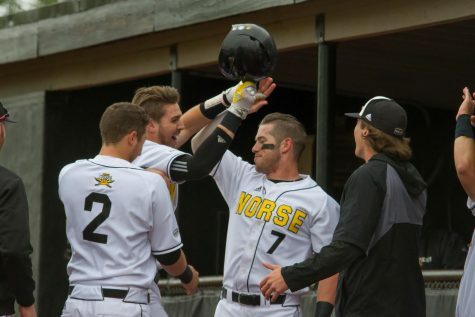 The Norse managed to get the lead off man aboard in all eight innings in today’s game. 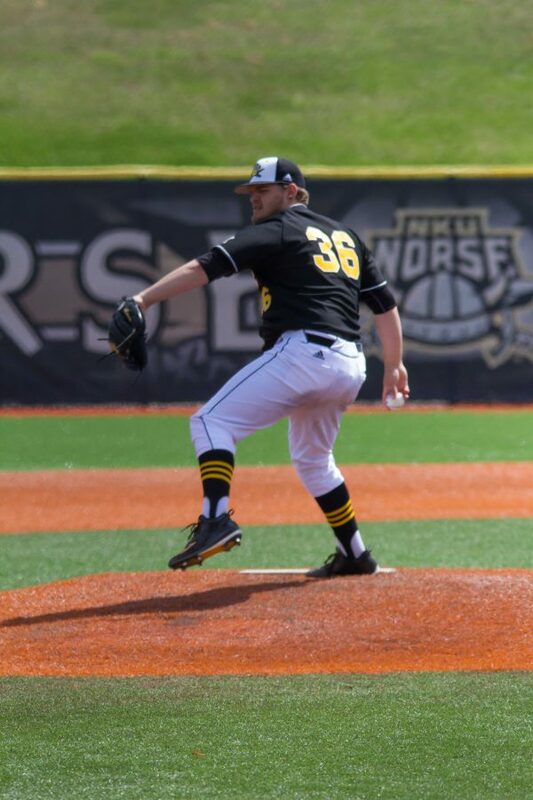 Pat Kelley had a much needed quality start for the Norse, lasting 6.0 innings while allowing seven hits, two runs and struck out three Penguins. 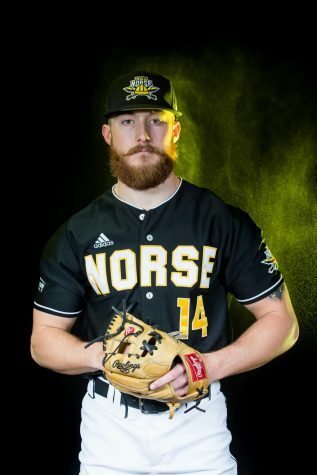 Kelley is now 2-1 on the season and the Norse are 5-2 when he starts a game. 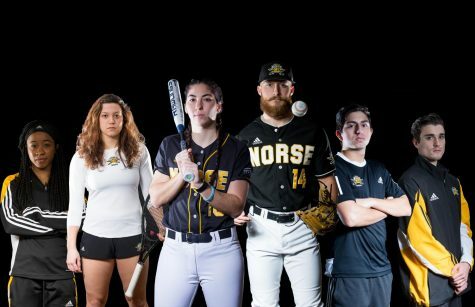 The Norse scoring started in the second inning, when Mike Moffatt singled down the right field line to score Dominic Mercurio who reached on a single. 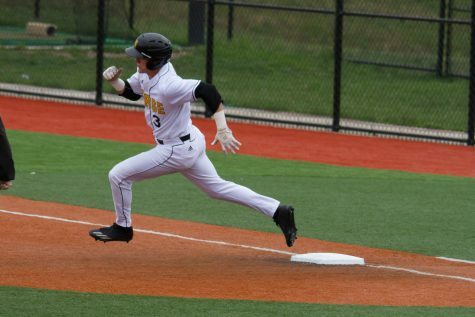 The Penguins scored in the top of the third inning, when Anthony Rohan hit a sacrifice fly to centerfield to score Anthony Santoro. Later in the inning, Shane Willoughby hit a dribbler to third base that Brad Bohlen couldn’t field that allowed Kyle Benyo to score and give the Penguins a 2-1 lead. The Norse scored a run the next three innings, starting in the fourth with an RBI single from Bohlen that scored Kyle Colletta. Trey Ganns would score in the fifth inning after Mercurio grounded into a double play. Moffat scored on a Heming squeeze to put the Norse up 4-2 in the sixth inning. 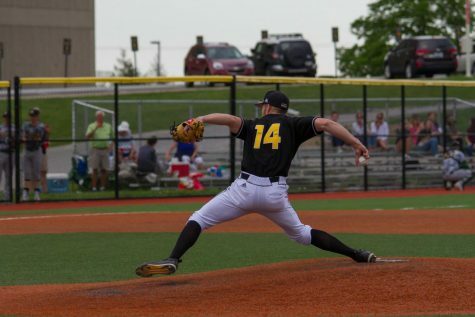 The Penguins came charging back in the seventh inning, when Norse reliever Brody Basilone allowed men to reach second and third with one out. Cameron Ross entered the game and allowed a ground ball to the short stop that scored Benyo. That was all Ross would allow however, throwing 2.2 innings and allowing just two hits and no runs while earning his fourth save of the season. He was helped greatly by Moffatt, who crashed into the center field fence to make a game saving catch with two outs in the top of the eighth inning. Colletta lead of the bottom of the eighth with a double. After advancing to third on a passed ball, Colletta scored when the catcher Santoro tried to pick off Colletta and instead threw the ball into left field. Moffatt then scored on the second Heming squeeze bunt to put the game out of reach. 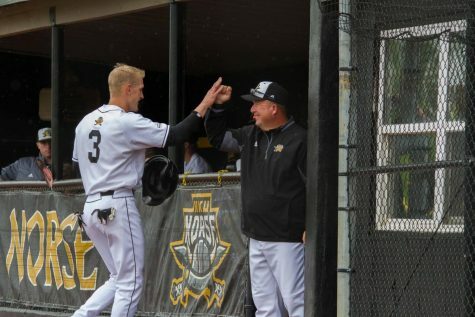 The Norse will now look ahead to Tuesday afternoon, where they will play Eastern Kentucky at Bill Aker Baseball Complex at 3 p.m.. Asalon is looking to play some of his younger guys in this game before the weekend series with Valparaiso.